Stripes seem to be everywhere, in all shapes and sizes, in an abundance of new designs. Everything from off the shoulder, ruffles, bold prints, and the clashing of striped separates have been giving me endless summer inspiration. 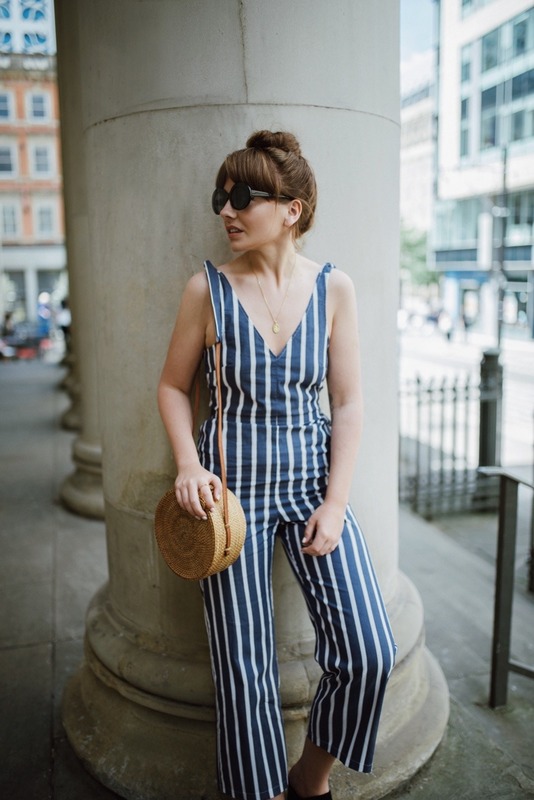 When I spied this jumpsuit on ASOS, it took me around three minutes to add it to my basket and complete check out. I knew that it had to be mine – which is crazy because I rarely wear a jumpsuit, and it didn’t strike me as something that I could pull off. Having said that, I was so pleased when it arrived, it fits well in all the right places, and its just the summer statement piece my wardrobe was missing. I love the cut out back detailing – the perfect way to show off sun-kissed skin, and a part of my body that I’m never too worried to show. 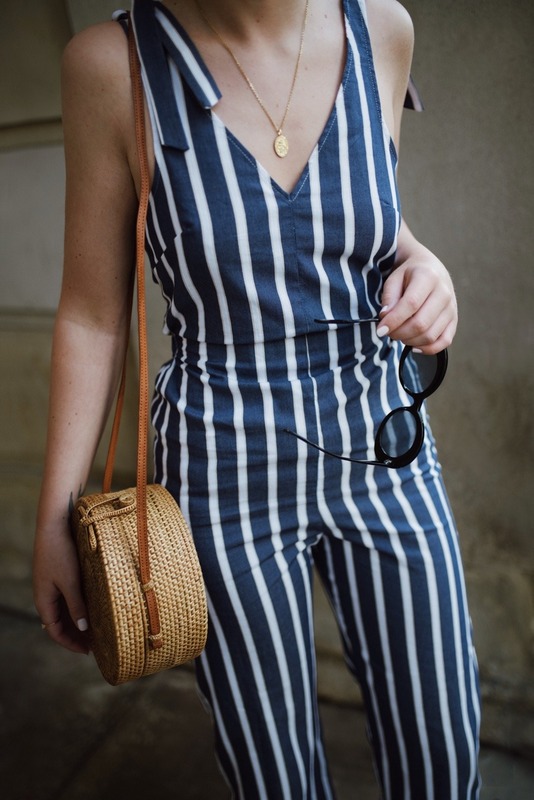 It just elevates the jumpsuit and makes it look less ‘pyjama onesie chill’ and more ‘French Rivera stroll’ which can only ever be a good thing! I opted for oval black sunglasses and black suede mules to balance out the look. 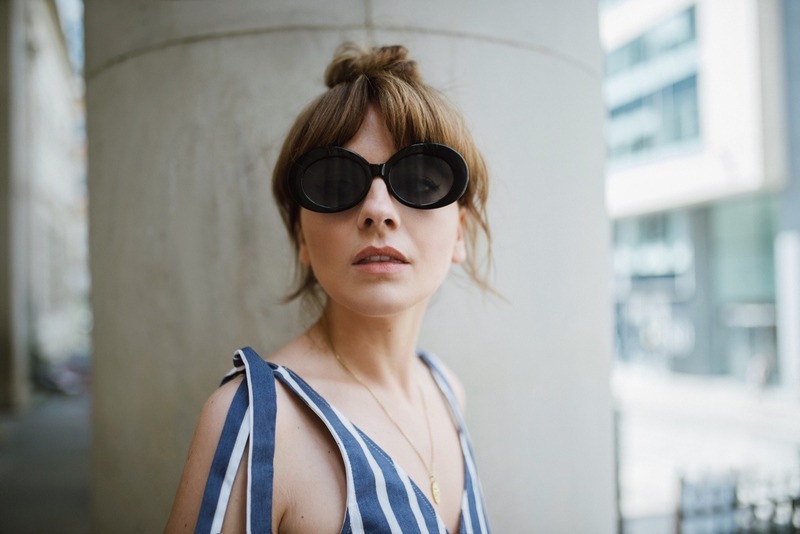 I’m a bit in love with this style of oversized sunglasses – I think they elevate any outfit and instantly add a stylish touch without looking like you’ve ‘tried too hard’. The black mules are a match made in heaven for the shades too, and just tie everything together nicely. Definitely the lazy girls way to accessorise for the summer months! The jumpsuit is particularly playful, so I knew that I wanted the accessories to be chic and timeless to match up with the narrative in my head. It’s definitely a bold piece for me, and one that’s easing me out of my summer comfort zone, but the accessories keep me right at home and make the outfit feel like ‘me’. This is the type of outfit I’d wear on holiday in the evening, because it’s eye catching and easy to throw on – but it would also look great for daytime exploring with a chunky pair of sandals. 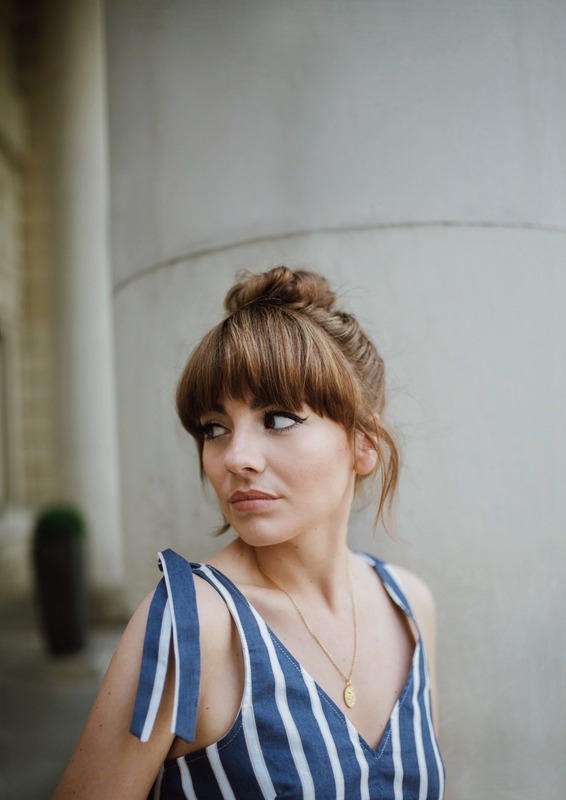 It’s so comfortable, and a little bit fitted around the middle area which makes it much more flattering for me personally – the little shoulder bow ties are what really sold it to me too! I’m seeing them everywhere this summer and really think they add some femininity to any look – perfect for pairing with more masculine accessories. As always, I hope you enjoyed this post – you can check out more summery goodness from ASOS here! Would love to hear what you guys think of the outfit in the comments below! What summer pieces have you been lusting after so far? This post is sponsored by Reward Style & ASOS!